Diversity Council Australia Limited is the independent, not-for-profit workplace diversity advisor to business in Australia. DCA provides diversity advice and strategy to over 350 organisations, many of whom are Australia’s biggest employers. DCA member organisations are estimated to employ more than one million Australians, representing around 10 per cent of the Australian workforce. Business Women Australia is a membership collective of leaders and learners, helping each other achieve success in business and life. The organisation delivers professional development programs, business knowledge workshops and opportunities for personal and professional growth in a variety of locations around Australia and online. Known for their inclusive values and generous spirit, members are united in facilitating and celebrating the achievements of all women in business. Business Women Australia provides services and support to business women across all levels of commerce, government and not-for-profit sectors bridging communities to connect and expand influential networks. Business Women Australia is proud to be partnering again with the Women’s Leadership Summit. Australian Womens Network (AWN) will be celebrating International Men’s Day 2017 (IMD), which has the potential to become the global medium to heal our world. The concept and themes of IMD are designed to give hope to the depressed, faith to the lonely, comfort to the broken-hearted, transcend barriers, eliminate stereotypes and create a more caring, humane society. Our aim of IMD is to promote goodwill and positively transform the lives of many. We genuinely believe that the observance of IMD has resulted in greater stability in the lives of men and has guided them from darkness into light. Our objective is to celebrate IMD and focus on men’s and boy’s health, improving gender relations, promoting gender equality and highlighting male role models. It will also celebrate their achievements and contributions, in particular their contribution to community, family, marriage and child care. AWiA is a non-profit incorporated organisation established in 1994. 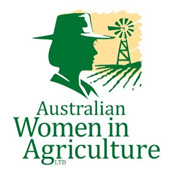 It is Australia’s peak organisation for women across all areas of agriculture. It exists to ensure that agricultural women have the capacity, confidence and channel to be able to have their voice heard, from the dining table to the boardroom table to the political table. Members are part of a recognised and dedicated national network involved in the development and support of Australian primary production, rural industries and communities, in partnership with industry and governments. Secret Sisterhood is a women's movement and social enterprise that aims to empower, uplift and inspire women globally. Secret Sisterhood sells jewellery that features their Sisterhood symbol of women's equality and gives back 90% of their profits to women in need. They believe now more than ever, women need to come together as a Sisterhood to help put an end to gender inequality around the world. Behind Closed Doors is a leading national network of businesswomen supporting and encouraging each other to attain greater levels of success through opening doors to new opportunities and markets. Operating in Adelaide for 10 years in 2018, memberships are offered in Adelaide, Melbourne, Sydney and Perth providing peer to peer mentoring, professional development and networking opportunities for businesswomen. Members are placed into a confidential women’s support network with a highly skilled and respected Facilitator where you will receive encouragement and support to enable you to confidently accept greater professional challenges, including nominating for Board and Chairman roles.